Beta-carotene is a naturally occurring reddish-orange pigment, responsible for the yellow-orange colour of many fruits. It is one of literally hundreds of carotenoids found in nature, particularly in dark green, deep orange and yellow fruits and vegetables. Beta-carotene is one of the most extensively researched carotenoids and pro-vitamins, and it is highly regarded for its many health-promoting capabilities. Beta-carotene is perhaps best known for its role as a precursor for vitamin A, or as pro-vitamin A, meaning that the human body converts beta-carotene to vitamin A when needed. The human body is unable to synthesize carotenoids and they must therefore be taken up as a food constituent. Compared to its many carotenoid companions, beta-carotene is the most potent source of vitamin A, which makes it vitally important to overall health because the amount of beta-carotene consumed can make a significant contribution toward a person’s vitamin A status. Vitamin A, and by association beta-carotene, is important for normal human growth, essential for good vision, it helps develop and maintain the tissues that line the external and internal surfaces of the body (skin and mucous membranes), and it is a necessary component for the immune function. Besides it’s function as pro-vitamin A, beta-carotene acts as an antioxidant and may help prevent chronic diseases including heart disease, cancer, age-related eye diseases, brain disorders and many more. beta-carotene is also known to protect skin exposed to sunlight as it absorbs hazardous ultraviolet radiation. do we need beta-carotene ? There is no established recommended intake for beta-carotene, although a large body of evidence from dietary studies suggests that higher amounts are associated with disease prevention. Nutrition experts estimate that people today do not consume enough beta-carotene every day to achieve its benefits. 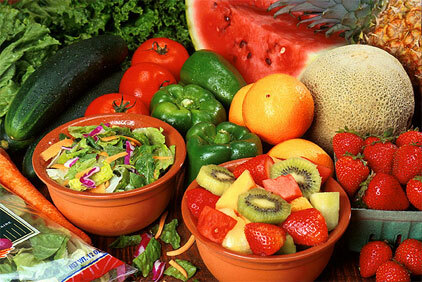 Beta-carotene is found primarily in plant foods, specifically fruits and vegetables. Yellow and orange vegetables contain significant quantities of carotenoids. Green vegetables also contain carotenoids, though the pigment is masked by the green pigment of chlorophyll. Estimates of fruit and vegetable intakes in Europe show as many as 60-80% of adults in France, Switzerland and the U.K. consume few daily servings, defined as less than 1.5 times per day for fruits and less than 2.5 times per day of vegetables. The most commonly consumed fruits and vegetables are orange juice, bananas and tomatoes. Other than orange juice, which contains some beta-carotene, but not enough for it to qualify as a “good” source and none of these foods represent significant sources of beta-carotene. Some of the richest dietary sources of beta-carotene are orange/yellow fruits and orange/yellow vegetables, as listed in the table below. The rate of beta-carotene uptake after consumption (bioavailability) depends strongly upon the method of food preparation. Since beta-carotene is a fat-soluble component, its bioavailability can be improved by enriching and heating beta-carotene containing foodstuffs with fat. Its bioavailability in fruits is generally better than that in vegetables, and the most efficient uptake can be achieved through dietary supplements or fortified beverages, as explained below. Different dietary sources of vitamin A have different potencies. For example, beta-carotene is less easily absorbed than retinol and must be converted to retinal and retinol by the body. Although many people are not meeting their vitamin A requirements, some are at risk of consuming too much. Because excess vitamin A is not excreted from the body, toxic levels can accumulate. The result of ingesting toxic levels of vitamin A includes bone deformities, liver damage and birth defects. There are no known toxicity concerns with beta-carotene, which is considered to be a safe source of vitamin A. The conversion of beta-carotene to vitamin A is dependent on the body’s vitamin A status. If the body has adequate stores of vitamin A, less beta-carotene is converted. If stores are low, more beta-carotene is converted into vitamin A. There is much more to beta-carotene than its supporting role in vitamin A status. It has several promising health-promoting qualities that seem to result from its interactions with cells and its collaborative nature with other nutrients.